File photo of the Silent Sam statue on the Univeristy of North Carolina at Chapel Hill campus on Aug. 22, 2017. Fearing violence or vandalism at a campus rally against a Confederate statue, two top University of North Carolina leaders privately lamented their dilemma and appeared envious of another university that abruptly took down similar monuments, newly released emails show. On August 21, top University of North Carolina leaders were preparing to handle a protest the following night at the Confederate statue known on campus as "Silent Sam," according to emails obtained by The Associated Press through a public records request. The Chapel Hill rally, while not violent, ultimately resulted in multiple arrests and included protesters blocking traffic and marching to the residence of Margaret Spellings, the president of the UNC system. The day before the rally, Spellings exchanged emails with Carol Folt, chancellor of UNC-Chapel Hill, about the University of Texas decision to send crews to swiftly take down three Confederate statues overnight, making crowds less likely to gather. Also on their minds: Earlier that month, protesters tore down a bronze statue of an anonymous rebel in nearby Durham, North Carolina. "Texans are smarter," Spellings wrote after Folt sent her a Texas news account. Folt then replied with a smiley face symbol: ":)". UNC system spokesman Josh Ellis described Spellings' comment in an email Tuesday as "a throwaway line from a native Texan" that shouldn't be interpreted as her endorsing how the University of Texas handled its statues. Hours after the email exchange, Folt sent a campus-wide message saying university leaders would move the statue to protect safety "if we had the ability," but noting that state law prevented them from doing so. Folt and Spellings also signed a letter on Aug. 21 seeking guidance from Democratic Gov. Roy Cooper, citing the possibility of violence or efforts to topple the statue. Cooper responded that a provision of the 2015 law passed by Republican legislators would allow moving the statue for safety reasons. Both letters were made public that same day. Hours later, a UNC law professor congratulated Folt for getting "permission" to move the statue. Folt responded she "sadly" didn't believe the governor's interpretation gave them room to take action. "There is no Governor's permission sadly. But we're still trying," Folt wrote. 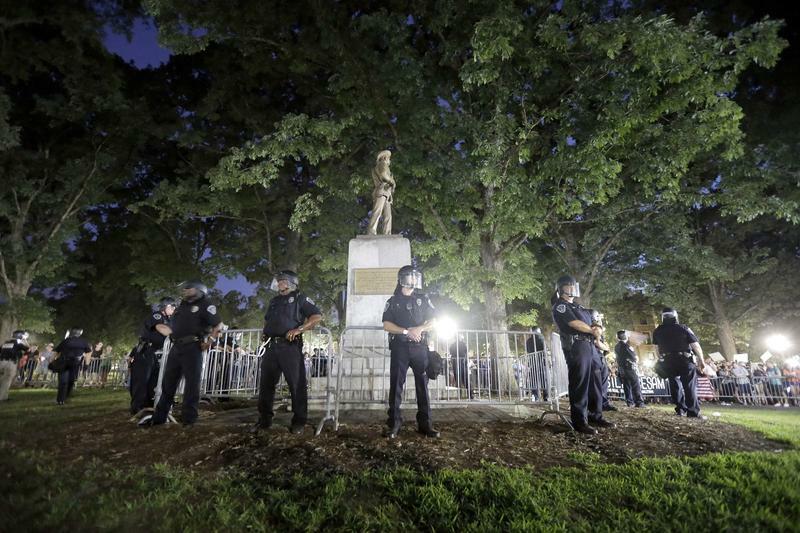 The next evening, hundreds gathered around "Silent Sam" and chanted "tear it down," but were kept away from the statue by officers in riot helmets watching from behind temporary metal barriers. The newly released emails also show that Folt received scores of letters and email from alumni surrounding the protest, passionately calling on university authorities to remove the statue, while some others argued it should stay in place. Folt typically responded by reiterating that campus safety was their top concern and that state law prevented university officials from moving the statue. The exchanges came in the aftermath of deadly violence during demonstrations by white nationalists over the fate of a Confederate statue in Charlottesville, Virginia. A UNC spokeswoman said Tuesday that Folt wasn't immediately available for comment, and referred to her remarks during a November 16 meeting of the UNC-Chapel Hill trustees, reiterating that she would move the statue if she had the authority. At Folt's urging, trustees also heard from many students who advocated for the statue's removal and a few people who said it should stay. Ellis, responding separately, added: "As President Spellings has said throughout this process, the UNC System does not have the authority to remove monuments and we will continue to follow the law." 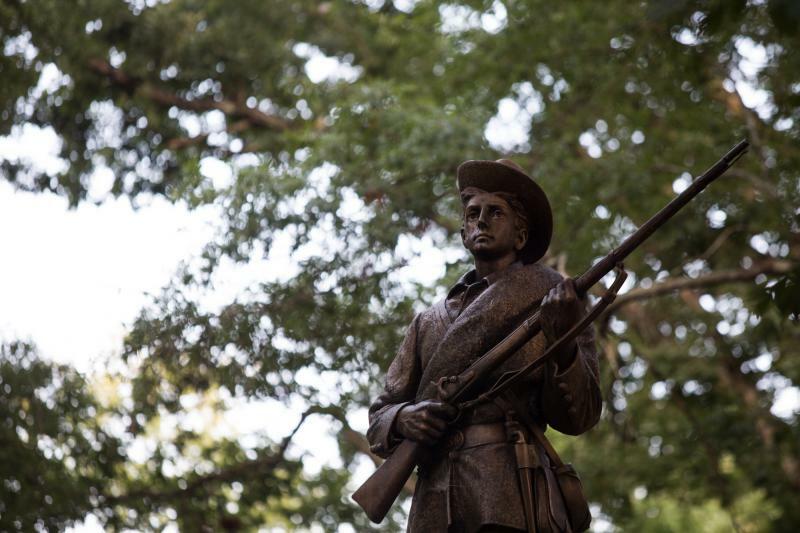 Lisa Philip reports on a public hearing to gather opinions about Silent Sam, the Confederate monument sitting near the entrance to the UNC- Chapel Hill campus that has become the focal point of protests in recent months. 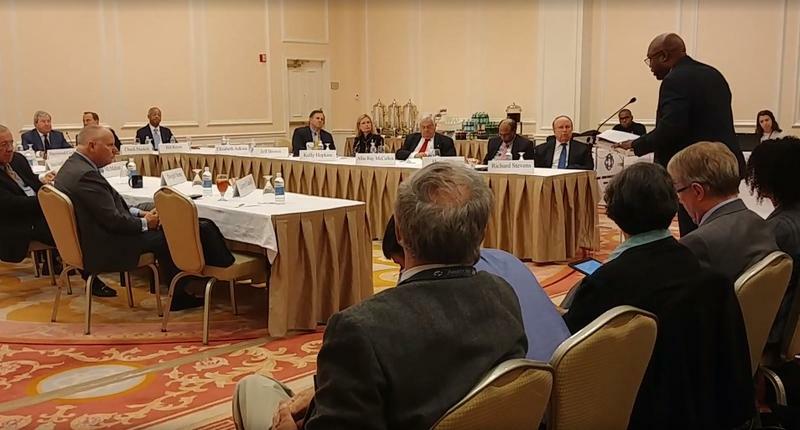 The University of North Carolina - Chapel Hill Board of Trustees held a public hearing Wednesday to gather opinions on Silent Sam. That’s the Confederate monument sitting near the entrance to the UNC campus that has become the focal point of protests and denouncements by students, faculty, and even entire university departments. Thirty-four faculty members of the University of North Carolina - Chapel Hill School of Law have sent a letter to Chancellor Carol Folt urging the immediate removal of the Silent Sam Confederate monument. 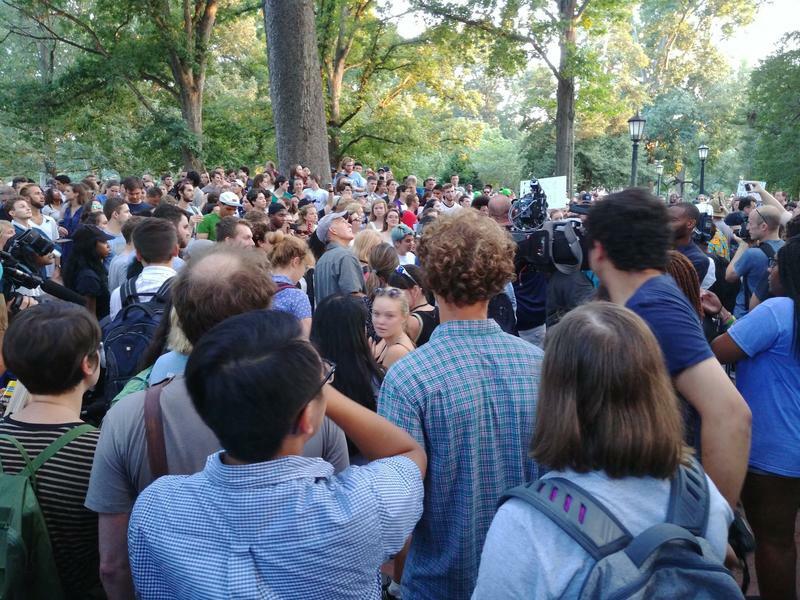 Hundreds of people rallied Tuesday night at the University of North Carolina - Chapel Hill campus in opposition of a Confederate statue known as Silent Sam. 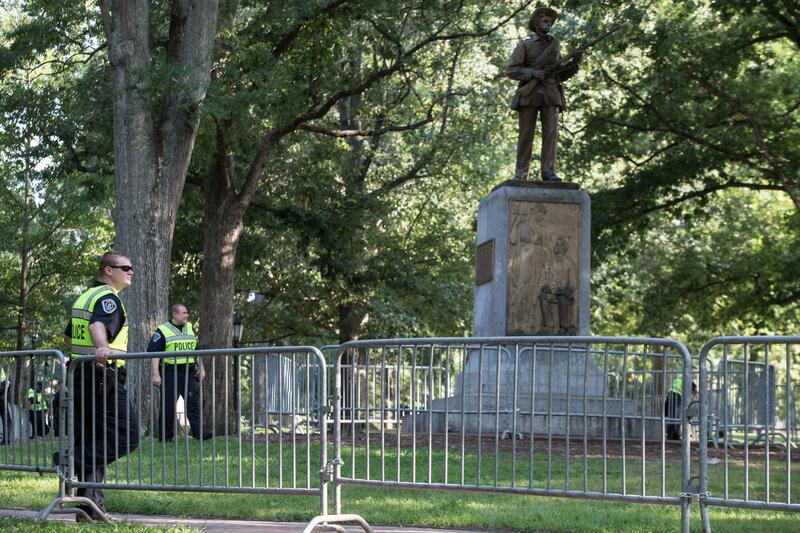 Three people are facing charges related to a demonstration against a Confederate statue at the University of North Carolina.